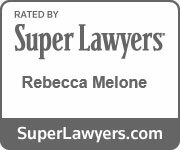 Trusts | Melone Law, P.C. A trust is one way to designate ownership over property and ensure that your beneficiaries receive the property you want to give them. In making a trust, a trustor transfers ownership of property to another person or organization, called the trustee, who will manage the property for another person, the beneficiary. The trustee named in the document is bound by the terms outlined in the trust. At Melone Law, we are available to assist you throughout the process – from the creation of a trust to its administration. With a broad array of trusts available, we are committed to helping you choose one that best serves your needs now and for the future. The types of trusts differ widely and are based on when a beneficiary receives the property from the trust, whether the trust can be altered or eradicated, and what guidelines are in place for the trustee.